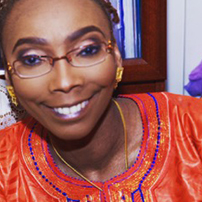 She is the founder of Sondiata Global Media, a publishing house for the African diaspora and Nefertiti Reborn, a blog for women aspiring to lead. Her projects include Books Not Babies, which helps teenage mothers and underprivileged girls get an education. The project also helps under privileged girls get an education and teenage mothers go back A freelance journalist, she wrote for Ebola Deeply, a branch of News Deeply that covered the Ebola epidemic in West Africa. She also hosted a radio show, which connected the diaspora with stakeholders to find solutions to Ebola crisis in West Africa. She was one of the Diaspora Changemakers of 2014, selected by the Royal Society of Arts and it’s still actively engaged with Common Purpose leadership programmes involving the African diaspora.